We often speak of the need for someone to get out of their comfort zone. We want them to try something different and more challenging in order to build their skills. Judith Bardwick wrote a book Danger in the Comfort Zone which expands upon this concept. One day, my wife trying to recall the title of the book, referred to it as Comfort in the Danger Zone, which may be the way we need to think of it to guard against complacency. The Danger Zone is not an area with signs that say; Keep Out, No Trespassing, Caution, Warning or Danger Zone Ahead. On the contrary, there may not be any indicators that the area in which you reside has any potential hazards labeled. There may be an assumption that you are self-aware and old enough to know better. The Danger Zone could be situations or relationships at work or in your personal time. It is a place where your behavior could compromise your life and your livelihood in a negative manner. The Danger Zone can be a moving target, or it may involve shifting circumstances. In a Danger Zone, you may not recognize the hidden pitfalls that may exist. However, here are at least 4 behaviors that put us at risk. If we are negligent and refuse to continuously improve our skills, we may wake up one day to discover that we are not compatible with our customers. We lagged behind the times and the mandatory evolution in skills that keep us competitive and relevant. We discover the bar is raised and others, around us have emerged with greater skills and more up-to-date knowledge and technology. They are formidable competitors, who have forged ahead of us on the career ladder for promotions and job retention. There are certain conversations, language and behavior that is not acceptable at work. We have become relaxed and too casual in our conversations in the workplace. With the emphasis on diversity and inclusion, organizations are hiring people with a variety of differences, similarities and sensitivities. In the era of a more respectful workplace, we must be respectful of everyone. We must adjust conversations and interactions which are out of line with current morays and expectations. It is now apparent through high profile lawsuits, that inappropriate conduct will not be tolerated, and the consequences will be severe. There is a lot written about self-awareness in the workplace and in our relationships. One day I was joking with an employee and I watched, as he became very comfortable and casual in his speech toward. At one point he offered a swearword, as he would with his friends at the bar. I watched him as he left the room, happy about his conversation with the boss, not realizing what he done. Later, he walked by my office and I called him in for a brief discussion. I began by apologizing to him for my role in setting up an environment where he felt too comfortable. “You said something,” and I looked him in the eyes, “that could get you destroyed.” You don’t ever tell me what I am full of in the course of a conversation. However, I’m sorry, I apologize for my role. But the lesson for you is to never put yourself in a position where you become so comfortable that you are not aware of words that are coming from you. I said no harm no foul. It was my fault.” There was no harm, but there was a foul, but I promised him that I would not use that against him, and I did not. Subsequently he was promoted to a District Sales Manager position and is still with the organization performing at a high level. You must always increase your awareness and be on guard. When we are in the Danger Zone, we may tend to devalue some of the people around us. If we decide that some individuals or some group does not have an impact on our career, we may shun them and not go deeper in building a connection or relationship. We may develop a reputation of only socializing with certain people, who we think can help us. This shortsightedness can work against us, especially, if those individuals get promoted ahead of us and they remember how we treated them. 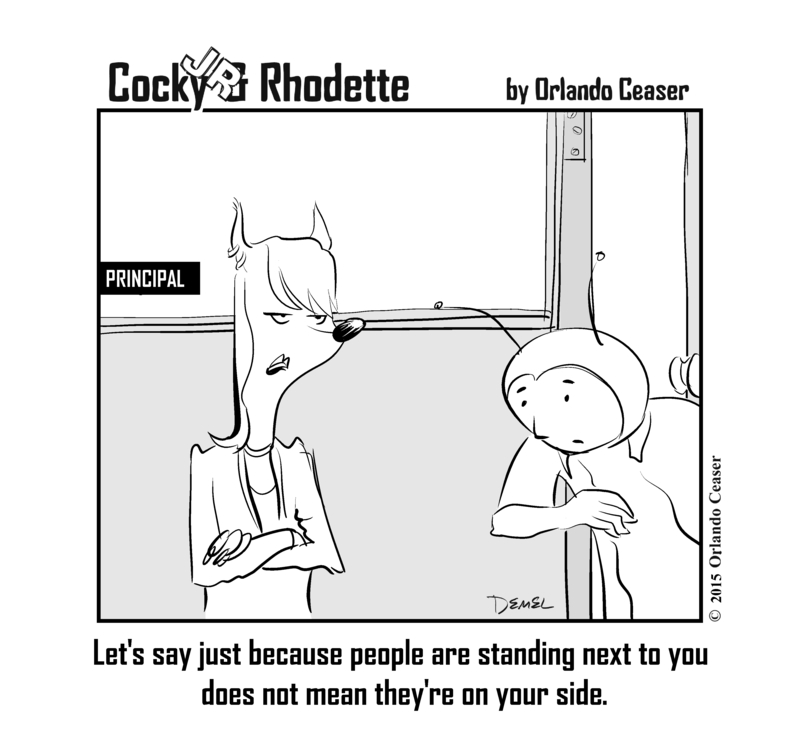 I recall a situation where one of my peers made disparaging comments about me behind my back. Ultimately, I returned as his manager and I received a curious phone call from him. He apologized for comments he had made, 10 years earlier. Whereas his confession was noble, I asked him a question that he tried awkwardly to answer. My question was,” If I was not coming back as your manager, would we be having this conversation?” Spare yourself these uncomfortable moments and negative career impact by treating everyone with value at every level. We must not get too comfortable in the Danger Zone. Our continuous focus on improving our skills, shying away from inappropriate conversations, not letting down our guard and losing sight of the value of people at every level will be richly rewarded. These four points will assist us in growing our careers and strengthening our relationships. I am reissuing, with a few modifications, my most popular blog post, for your consideration. The universal application of these age-old concepts is a tremendous value that should guide our behavior and interactions with each other. We grew up with the story of the three monkeys. I imagine that many of us have the same interpretation of what they represent. We were exposed to pictures or statues. One monkey had his hands over his eyes, the second monkey with hands over his ears and the third monkey’s hands were over his mouth. They were see no evil (Mizaru), hear no evil (Kikazura) and speak no evil (Iwazura). There were actions and behaviors demanded of us based on the three monkeys, but nothing was said about the fourth monkey. The fourth monkey was do no evil (Shizaru). Travelers will often find local markets with carved depictions or artwork featuring the three monkeys. My wife was able to purchase an angelic model of the same concept. There are three angels; one was covering her eyes, one was covering her ears and the other was covering her mouth. However, the fourth monkey was not shown. The 4th monkey, when pictured, is usually shown folding his arms (the body language of being closed) or covering his crotch to signify inactivity. The different interpretations of the four monkeys is fascinating. In Buddhist tradition it meant don’t spend your time preoccupied with evil thoughts. In the West it relates to not facing up to our moral responsibility, for example turning a blind eye. But in my household, the monkeys were presented to us as a model of proper behavior. Our parents wanted us to identify with the images, to supplement our moral code. We were told to pay attention to people and location(s). The idea was that if we were in the right location, we would minimize seeing trouble develop before our eyes. This was applicable in school and at work. We were instructed against being at the wrong place at the wrong time or the wrong place right. We were also told not to look for bad things in people or in certain situations. There are people who see bad things when they don’t exist, which could explain the manifestations of bias, stereotypes and profiling. We were not taught to be naïve, but to be careful and respectful. We were told to shield ourselves from bad language and bad intentions. We should stay away from people who spoke ill of others and gossiped. If we were not in the wrong place we could minimize hearing things that we should not hear. We were also instructed not to listen to foul or vulgar language. If we heard people language, especially regarding someone’s evil intentions, we could use the evil information to do good or to help others, that would be permissible. Speak no evil was used to discourage gossiping or speaking ill will about someone. We were told to watch our language and to speak kind words. “If you can’t say anything good about someone, don’t say anything” was a part of this same philosophy. Adults told us that spreading bad news or malicious information could come back to haunt us. We should also, apply this same advice to the workplace. There is a misconception around the concept about someone. This misconception has led people to adopt a code of silence in the workplace when a person is not pulling their own weight. We would rather silently complain or resign, before talking about an employee who was not working. We would not want to be labeled a snitch or a stool pigeon. In the streets people would say, “snitches get stitches”. To speak evil of someone means telling a lie, varying false witness or defaming their reputation. However, it is our responsibility to find a way to report injustice, illegal behavior and practices that undermine people and the organization. Our intention should be to speak the truth in love without malice or premeditated negative objectives. One way to break the code of silence is by offering incentives to whistleblowers. These individuals are people who step forward and report unlawful activities in an organization. They are generally paid a 10% bounty if the measure goes to court and fines are levied against the lawbreakers. In neighborhoods where people know the perpetrators of violence, but fail to come forward, there are no such incentives. Residents may be afraid of retribution, as the rationale for their silence. We must also realize that justice requires telling the truth and this should not be regarded as speaking evil of someone. Do no evil is a perfect monkey to enforce the values of character and integrity. He reminds us of proper behavior and etiquette. Our choices have consequences and the more we can emphasize a positive corporate culture and a respectful workplace the more effective our organizations will be become. There is conduct and behavior norms which must be identified, emphasized and enforced vigorously. Character will minimize stress in the workplace and reduce the number of lawsuits and discipline related to improper behavior. The do no evil mindset would influence our participation in the political process. Our dialogue in conversations around those who are different from us or have different opinions would be positively affected. If we operated each day thinking in terms of do no evil, we would be more empathetic in understanding of each other. We would put ourselves in the shoes of our neighbors and seek to understand their point of, listen to their words and lay the foundation for greater chemistry instead of conflict. How can we create an environment in our workplaces, families and communities, where people are held accountable for their own unlawful actions and the private citizens who come forward can feel safe and protected? If the fourth monkey was modeled, we would have less of a cause to talk about Mizaru (see no evil) and Kikazuru (hear no evil). Do no evil and speak no evil should be magnified and connected to many of our guiding principles of behavior. The Golden Rule and its equivalent in many cultures advise us to treat people the way we want to be treated. The Platinum Rule which asks us to treat people the way they want to be treated. The 10 Commandments implores us not to do a series of acts which could be seen as evil, such as murder, stealing, etc. you are instructed to love your neighbor as yourself. If we began from a position of love it is easier to think in terms of speak and do no evil. We must clearly outline expectations of behavior and the judgment related to them to improve the climate in our organizations, homes and places where people meet. Correct action is essential to achieving healthy results in our relationships. The imagery and practices espoused by the 4th monkey holds the key to making this possible. I am hopeful that by emphasizing the fourth monkey, we can improve our behaviors, connections, interactions and relationships with everyone. The Black Panther movie strikes a chord with movie goers around the world. It is shattering box office records. It is catalytic in its messaging, story-line and visual excitement. People are using it to express profound pride, as it delivers lessons on universal themes, humanity, equality, diversity and inclusion, as well as the pursuit of excellence. I have seen the movie 3 times, including 3-D and IMAX. Each time I walked away with greater insight. I read the comic book as a youth, so this is nostalgic and a long time coming. Poetry and the arts allow us the opportunity to express ideas which are magnified with individual interpretation. When translated, transferred and transformed through the prism of our experiences, the results can be nothing short of amazing. Here is my poetic take on the Black Panther experience. To lift each other from despair. Seeking challenges to prove they’re free. Although our lineage is debated. To help others improve their lot. So that we love and trust. I enjoyed reading for recreation as a young person. There were sophisticated fables and fairy-tales that transported me to distant lands and cultures. I also, enjoyed reading comic books with super heroes who had super powers from birth, mutations or another planet. These books expanded my creativity, vocabulary and imagination. Being different on several levels, I could identify with some of the emotional issues they experienced. There were recurring themes of identity struggles, lacking confidence and feeling like an outsider, a freak, as if they did not belong. The super heroes realized they were different from their peers and they also wanted very badly to be accepted and to fit in. There were times, I felt isolated and different from my peers. In these moments of exercising my imagination, I felt connected to the characters in the stories; therefore, I felt important. I noticed an interesting development in the back story of some of the super heroes. There were conversations with a parent, guardian, confidante or mentor. Sometimes the super hero was involved in self-talk and personal reflections. They needed someone to talk to and make them feel accepted and important. They needed assurance and encouragement. The fervor and enthusiasm around the monumental success of the Black Panther and Wonder Woman movies, shows the power of story and the arts. There are many articles, commentaries and conversations about the value of the movie in the context of diversity, inclusion and racial and gender pride through displaying positive imagery and story lines. There are the uplifting accounts of pride, promise and great expectations as self-confidence rises. I hope the overwhelming positive imagery will energize a generation to exercise the super heroes within each of us. Wherever these are differences, there is power. There will be a need to conduct conversations and self-talk to build up the human spirit to build confidence in our capacity for connection and greatness. Whatever differences we possess can be viewed in the same context as a super power. However, just as the super heroes privately worked on improving their abilities, they must also strive for excellence and understanding themselves and others. They must work within their talent, hone their skills, to take it to a higher level. The opportunities will present themselves, when they may be pressed into action to save the day. When children are wrestling with the distinction they have from others, parents will usually paint it in a positive light, so it can be used as a source of strength. Their difference should be identified as a source of power and pride, even when it seems like a curse. When youth and adults decide to express their artistic, athletic, intellectual or leadership skills they may encounter negative reactions and reservations. When they stand out from and step up to a challenge, they may face opposition. Why are they upsetting the apple cart? Why do they bother? Why don’t they leave well enough alone? Who do they think they are? Do they think they are special and better than everyone? Conversation with your Super Hero are important for their growth and development and well-being. When we view movies like The Black Panther and Wonder Woman look for language and imagery to go beyond entertainment, to mine educational opportunities and the inspiration that is there to generate positive action to change the world. We are the parents, guardians, confidantes and mentors required to encourage and comfort the next generation. We must help them identify who they are and who they are expected to become, to reach their destiny and fulfill their promise. There are crucial components to your development that must be examined to accelerate your progress. There is a core set of skills, values or principles which can be debated, but factually, these key ingredients build on your present state. Let’s place four elements in this Core of More™. These elements confirm there is more in your core than you can imagine, yet you periodically ignore one or more components. They are Let it glow, Let it grow, Let it flow and Let it go. These ingredients will enable you to gain rather than regress and achieve surplus, that is not necessarily excess. Your light, however you define it, must be allowed to shine. Your talent, skills, abilities, capacity and resources must be a beacon of hope, a living positive example. Your light must be an indicator of your presence, purpose and performance. As we sang in Sunday School, “This little light of mine, I’m going to let it shine. Let it shine, let it shine, let it shine.” When it shines, it has a glow, a luminescence that grabs people attention, pinpoints your location and potentially influences your behavior. Skill level and impact will expand and enlarge your contributions. Influence grows as your abilities are refined and increased. You will devote the time, effort, energy and insight received from teachers, mentors and coaches to improve knowledge and the quality of your work. You will become a continuous learner and communicator, passionate about getting better in the priority areas of your life. Your light will get larger and brighter and more will take notice of you and more will be expected of you, as more are influenced by your presence. Your abundance will become a windfall to others, as you realize you are slated to get better, so others can benefit from your brilliance. As it glows and grows, it will flow in the execution of your skill set and in helping other people. Work will become easier and more natural. Executing your tasks will appear effortless, mainly because you are in your sweet spot and you are letting it flow. It is captured in an acronym SMILE (So Make It Look Easy). An athlete will comment that they let the game come to them or the game slows down for them as they improve their craft. When you let it flow, you remove the barriers to your performance. 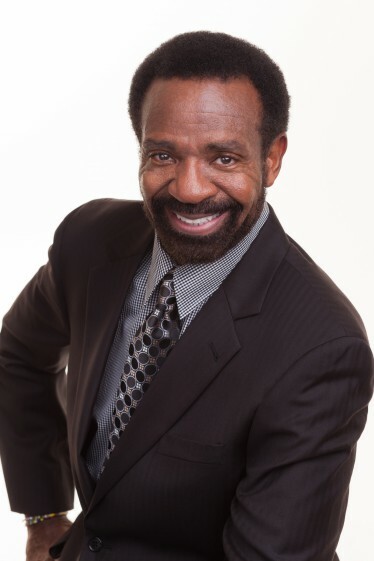 Your actions are as a well-trained athlete, gliding through the race; a musician who makes playing the instrument look easy; a world class professional speaker in their comfort zone, delivering a powerful message. You are caught up in the flow. Professor Mihaly Csikszentmihalyi , has a concept of flow which is defined as follows, “In positive psychology, as the zone, is the mental state of operation in which a person performing an activity is fully immersed in a feeling of energized focus, full involvement, and enjoyment in the process of the activity”1. It is a state where skills are consistent with the challenges presented to you. In the state of flow, you lose track of time and you are consumed in passion”2. Simon Sinek says, “Working hard for something we don’t care about is called stress; working hard for something we love is called passion.”3 When you Let it flow, your passion shows, as you let it flow. Along your journey, there are nouns you must displace. There are people, places or things that are excessive weight that must be discarded. As a hot air balloonist will tell you, if they want to increase their altitude, sand bags must be cast over board or they will hamper your ascension. There are personal situations that try to hold you back and hold you down. In earlier articles I refer to them as the Hindre™ a person or spirit of negativity that attempts to hinder or restrict your progress. 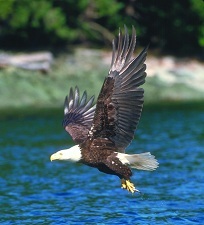 They must be released if you are to soar to the rightful heights of your achievement. You may know these impediments, or you must be open to people giving you a second opinion on people who are plotting against you. You must let go of destructive habits, attitudes, the wrong crowd, the wrong mindset or other roadblocks that are impeding your progress. Let it glow, Let it grow, Let it flow and Let it go, are part of the Core of More™. Apply these principles to help you achieve success in the professional and personal realms of your life. The large corporation recognizes the power of inclusion. They realize the enormous reservoir of residual potential within their employees. Similar companies are establishing practices to capitalize on the diversity within their ranks. Inherent in their approaches is the desire to create an OASIS1 where people can be Open And Share Information Safely; where people can fully express their minds in a culture of trust, where their talents will be developed and appreciated. Where inclusion is successful, there is an increase in energy and engagement. When companies maximize the POP in their culture, they focus on potential, opportunity and problems. Potential represents the reservoir of thoughts, ideas, resourcefulness and resilience which could fuel innovation and productivity. There is untapped energy that can be used to benefit all constituents. Potential is the pipeline for new ideas and solutions for today and tomorrow. First, we acknowledge potential as the latent ability to accomplish excellence. It is the sum total of talent, capacity, skills and ability. Potential speaks to the unlimited capacity within us. They are not sure how much power is stored in each individual, but they need to provide the environment to explore their content. The uniqueness and diversity of each individual may be linked to the variety of experiences, exposure and expertise they own. Secondly, opportunity is defined by Merriam Webster’s dictionary as, “a favorable or promising combination of circumstances or a chance for advancement or improvement. There are synergies when engagement and diversity are maximized. Additional value can be gained by minimizing the detrimental effects of unconscious bias and negative micro inequities. Opportunity is a chance to capitalize on a situation or moments that could lead to new discoveries, customer benefits and hopefully, a competitive advantage. Taking advantage of opportunities requires flexibility that is focused and spontaneous. Agility with the ability for greatness to maneuver the white waters of change is important to leverage opportunity. Responsiveness will allow organizations to master changes in direction by preparation and timing. Thirdly, problems do and will exist. They may be due to the negative ways people are treated. This could lead to a suboptimal release of talent, skills and abilities. Ultimately, engagement, innovation, employee satisfaction and results are impaired. The problem could represent unproductive conflict or the uncontested unconscious bias and micro-inequities within the culture. Problems may be barriers, a discrepancy between results and expectations, as well as the delta between where they are and where they want to go. The problems may also denote the business challenges encountered which require the entire capacity of their teams to concentrate on the problem for maximum effectiveness. Many times the problem could be a lack of developmental information. It would be ideal if people are vulnerable and share the areas where they need to improve. Too many times performance management becomes a game of Hide and Seek or Keep away. Individuals are aware of their developmental areas, but are reluctant to be vulnerable and share because of the negative consequences of evaluation and ratings. It could cost them money. Where there is trust people feel comfortable about being authentic and transparent as they dedicate themselves to the individual and group getting better. Let’s turn our attention to applying energy and resources to the right area, the main thing, as it is often called. Inclusion gives us a strategy to maximize the POP in our culture by encouraging us to set our sights on excellence. When we identify our focus, we may say that X marks the spot. By using another acronym, the SPOT stands for Strengths, Potential, Opportunity and Threats. The spot allows us to expand self awareness and become inwardly centered on individual skills and abilities. We were hired and promoted mainly for our strengths. These strengths should be harnessed to benefit us and the company. Marcus Buckingham touts the value of increased engagement2, if people feel that every day they can use their strengths at work. The environment for increased engagement stated in the Gallup- Q-12, Marcus was a part of the research, highlighted 12 factors that are favorably addressed in high engagement cultures. The idea is to give strengths the priority while managing and minimizing areas needing further development (weaknesses). The leader must understand these principles and determine how they apply personally. Potential and opportunity are the same as stated earlier. The leader must also benefit, along with the other members of the team and organization. Opportunities may spring up as trends and openings that can be beneficial, if responded to decisively with excellence. A leader must model the acuity and ingenuity to solve problems and the use results orientation to reach their goals. Threats are usually evaluated from an external vantage point. We want to answer the question, what are the negative things outside of the organization that can externally impact individuals and the company. Whereas, this is very crucial, there are also internal threats that we must be aware of, so that they do not derail achieving our goals or career objectives. These threats could be systemic, such as the prevalence of unconscious bias and micro inequities in suppressing growth and development. We must create a culture that minimizes the impact of unconscious bias and micro-inequities. The threat could also be individuals who may not have our best interests at heart. The threats could be personality issues that need to be corrected, such as difficulties with emotional intelligence which compromises leader effectiveness. These barriers, harmful trends, negative circumstances or individuals could disrupt our path to career excellence.Inclusion will enable organizations to adopt a leadership style that begins with personal self-awareness, self-management and moving onward to others, as we increase social awareness and relationship management. Corporations are communities of citizens who are ideally committed to a common vision. They are able hopefully resilient, with the capacity to withstand change, reinvent themselves and introduce new business paradigms, in order to succeed. These companies are survivors. They truly represent the “survival of the fittest” mentality. Corporations are staffed with individuals who have the survived a myriad of corporate reorganizations, growth spurts and culture adjustments. They have demonstrated the ability to adapt to change by adopting techniques necessary to avoid extinction. Cockroaches and rodents have existed on this planet for millions of years. Cockroaches have been around an estimated 240 million years and rodents were probably chasing them for a good number of those years. They are truly survivors, exhibiting adaptive behaviors that have enabled them to adjust to changing circumstances. The personification of these two characters is in the form of a cockroach named Cocky and a rodent known as Rhodette. They represent and will articulate the thoughts and feelings of employees in Corporate America. They will speak through reenacting scenarios that happen every day in some company around the world. Cocky is a male and Rhodette is female. They are co-workers. Their biographies speak to their diversity. They manifest their diversity in many ways, such as gender, thinking styles, age, genus, species, educational levels and introversion versus extroversion, to name a few distinctions. Cocky learned business from his father Coach (co is from cockroach and ach is from roach), whereas Rhodette received her business acumen from her mother Rhoda. Cocky and Rhodette are close friends who spend many hours talking about business and comparing and despairing over the current environment in their company where the emphasis on production has a few casualties among the rank and file. They have revised their personal strategies for growing their careers. They speak for the masses although they also, have leadership responsibilities. Cocky does not totally live up to his name. Whereas, he is self confident, he is also quiet and introspective; a true introvert. He knows when to keep his mouth shut. He may appear to be low key, but this is an adaptive quality, survival tactic. He can be commanding, when necessary. He will frequently sit in meetings and speak only when he has something significant to say. He is appalled by the amount of hot air released in meetings, as people speak to hear themselves talk. He is also disappointed when management condones and rewards this type of behavior. He sees his role as a pioneer to help others to adjust to corporate life. He has been promoted numerous times based on his productivity and the support of advocates, coaches and mentors. He says he is a realist, who fears he will go only as far as the company will let him. He is ambitious and has no desire to leave the organization. Rhodette is flashy, extroverted and her electric personality makes her the major energy source in any gathering of employees. She can seemingly get away with outrageous statements. She is a strategic thinker and her mind and forceful presentation demeanor are threatening to others. She is aware that she has to be careful in how and when she states her views. She has been coached on her need to increase her self- awareness. She is a team player and her actions are usually to benefit the company or her teammates, not to acquire power, stroke her ego or build a fiefdom. She is a great sounding board for Cocky and their interactions are insightful and at times hilarious. They look out for each other and provide constant feedback, which helps them grow personally. Through their networks they are also able to gather information on internal competitors who may try to undermine their performance and career growth. Cocky and Rhodette are both managers in a large corporation but their escapades and situations are found in smaller organizations. Their poignant comments and witty observations are thought provoking with educational lessons for everyone. They have coaches and mentors to assist them in their development. They are also connected with many employees within the company to help them report accurately on performance and levels of engagement. Cocky and Rhodette have given birth to a new creation, Cocky, Jr. The perspectives of teenagers are expressed through the eyes of Cocky, Jr. and Rhodesia. They are hilariously representing thought-provoking issues experienced by teenagers and the adults who interact with them. Disregarding and nullifying positional power is more common than we think. It is a risky proposition, potentially detrimental to all parties involved. Additionally, it is difficult to prove in many instances. In most instances, the evidence is circumstantial, relying essentially on body language cues and hurt feelings. Unless you can quantify it with actions on the part of the perpetrator, the target appears insecure or overly sensitive. New leaders have stated how they do not receive the prestige, recognition and respect they deserve from their peers and subordinates. Shockingly, people lower in the organization challenge them when they would not challenge others with the same level of authority. The nullification of positional power is a universal problem, but women and minorities have expressed it many times in conversations. They feel as if their jobs are not perceived the same as others in their position. When nullification is evident, and in its worst cases, the team does not function, as well as it should, which ultimately could reflect negatively on the manager. Team members may also suffer the consequences of reduced effectiveness and its impact on financial rewards. Engagement levels may go down and productivity can be adversely affected if this practice is not addressed. Sometimes, nullification of positional power shows itself in overly aggressive challenges to your authority, undermining your directives and refusing to seek your guidance or valuing your opinion. You may be tempted to retaliate or verbally castigate them in public. But remember, you are still the leader and must be above the fray, as it relates to executing the duties and responsibilities of your position. You cannot let your ego impair your judgment. Public admonishments or executions, may feel good, but can damage the defectiveness of the team. It is interesting how some people walk around with a look on their face that says,” I don’t care what job you have. I am still better than you and will not accept you in your role in this organization.” They are defiant and have a difficult time suppressing the conditioning they received from their experiences, environment, biases, preferences and stereotypes. It is a fact that most of the time nullification of positional power is not blatantly obvious. It is demonstrated through negative body language, micro-inequities and comments made in private. Micro-inequities are subtle actions, often unconscious offenses, injustices and inconveniences that make the recipient feel inadequate, insufficient, irrelevant, unimportant, insignificant, unnecessary and undervalued. They may be verbal or non verbal and reflect overt and covert actions. The persistent activity may cause people to second guess their competence and lose confidence in their abilities. It may seem easier to address this behavior if the individual reports to the manager. But the behavior is not usually out in the open. The actions may be underground and committed in secret. Significant damage may be done to your effectiveness as a leader, before you discover this breach in your positional power. Within many organizations it is acceptable to challenge ideas for they pride themselves on candor. That is their culture and it is understandable. Challenge is in their DNA, as a part of their mindset which is evident in their practices. Candor is woven into the fabric of their culture and no one takes it personally when challenged by someone lower in the organization. Status and titles are irrelevant when they are solving problems or developing ideas in brainstorming sessions. However, respect of all levels is expected. Nullification of positional power is often used against the new manager. Some people deliberately set out to embarrass the new manager. They feel the person does not deserve the job for a variety of reasons and find it distasteful that they have to report to them. They may try everything in their power to cause them to fail by not cooperating and performing at a lower level beneath their capabilities. Nullification or disregard for positional power has always been an enigma to me, particularly with people, who were actually afraid of leadership. However, they become emboldened and antagonistic when certain people were promoted into a job. Whereas, they were cautious with their words around most leaders, because they were concerned about their careers, these same individuals took a huge risk and acted out of character, because either they did not care or felt there would not be any repercussions. A District Manager was promoted to his new assignment. He lacked the experience of some of the senior members on the team. One of the members thought they should have received the promotion. He did everything in his power to make the job difficult for the new manager. Years later, he confided in me that he did this out of spite. He did not respect the person in the position and worked within his power to make it difficult for his new boss. He told me, as if to soothe his conscience during a moment of remorse. Occasionally, resistance to the new manager is in the subconscious realm. There is unconscious bias where people do not recognize what they are doing. When they are reprimanded for insubordination or written up for behavior unbecoming of a team member, they are surprised. Their argument is that they were just stating their ideas and the manager became offended and took it personally. However, it is often conscious, malicious, intentional and secretive. A Regional Manager was conducting a session with one of his Districts. There was dissention in the group. He brought them in for an opportunity to clear the air and for the District Manager to essentially apologize for his actions, reset expectations for the manager and each member of the team. The meeting ended and several members left in the same car to return to their territories. Before they departed the sound of the Regional Manager’s voice was heard in the back seat. The driver who was a veteran representative went to the backseat and shut off the tape recorder. Apparently, he had secretly and illegally taped the entire meeting. The other representatives were surprised by his actions. His actions gave a signal to the other members that it was OK to act in a manner that nullified the positional power of the Regional Manager. What does a manager do when they are aware of members in her organization trying to nullify their positional power? What does she do when she discovers the corrosive impact of subversive comments and actions? If the action occurs in a meeting, they could table the discussion until later with words such as, “John we can take this conversation off line and I’m we can resolve the issue and bring it back to the group.” It may be documented as a performance issue and expectations and consequences stated if the behavior continues. Sometimes, companies may reassign promising performers and justify it by saying there was a personality clash with the new manager. This could send a dangerous message, set a dangerous precedent and inadvertently sanctioned inappropriate behavior. One of my favorite personal stories involved an encounter I had when I attended a manager’s meeting. I was from the Home Office, which usually has a mystique associated with it. After all I was from the epicenter of power for the organization. I was at least two levels above most of the people in the room. A manager two level below me misunderstood my position on a certain point. He raised his hand and said, “I strongly disagree with what you just said.” The room became very quiet. I responded, “Allow me to restate my case, because if you heard me right, I’m sure you would not “strongly” disagree with my position.” I repeated my statement almost word for word and he acknowledged that he was in agreement. Leaders should not get provoked into unprofessional behavior. The matter can be addressed by going to supportive leadership within your company. Your job as a leader is to be a leader for all, even though everyone may not want you in the job. Press on. Show your value and contribute substantial results, resources, reputation and financial performance. If they don’t, the matter must be discussed with their supervisor, with specific examples of the breach of protocol. Your performance and your network of supporters will change the perception of some of these detractors. You will never be liked by everyone, but your leadership and excellent performance will add value to the company. Inappropriate behavior and disrespect should be handled appropriately and should not be tolerated. Lastly, leaders can counteract nullification of personal power by elevating their social power or social capital. Your personality, work ethic and integrity are revealed to the organization through personal and professional interactions. People get to know you and realize what an asset you are to the company. They realize that you are committed to their personal growth and development. They may become advocates and speak out against those who are stabbing you in the back. Team members see that you belong in the job and are the right leader to help them achieve their personal and professional objectives.